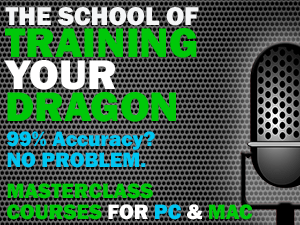 Should You Use a Mac or a PC for Dictating with Dragon? Of course we are. The “platform war” thing has been done to death a million times with no clear victor. Some people love using a Mac, some people love using a Windows PC. That’s just how it is and how it always should be – after all, huge faceless corporations don’t care about any of us anyway, right? Why should we treat our choice of a computing platform as if it’s some kind of good or bad personality trait, anyway? Things are a little different when it comes to using the best tool for the job, however. I’ve flipped and flopped between the Mac and Windows several times over the last 20 or so years. I’m old enough to remember when people hated Windows with a passion. I also remember when the Mac wasn’t so hot, either (I’m looking at you, OS 9). But that was a long time ago and both platforms now have excellent operating systems in the form of OS X (soon to be called macOS) and Windows 10. But Dragon is a strange beast as, despite sharing the same brand name, the products are very different on the Mac and the PC. 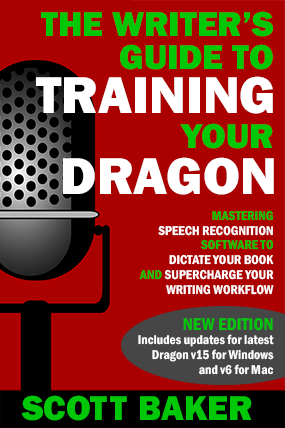 I highlight in some detail in “The Writer’s Guide to Training Your Dragon” how Dragon NaturallySpeaking for Windows is, in many ways, a far superior product to the product formerly known as Dragon Dictate (now simply called Dragon for Mac). I stand by that opinion still, despite currently dictating this blog post using Dragon for Mac 5. I’m in the lucky position of being able to use both – if you have a Mac, after all, you can run the Windows version of the software in a virtual machine or via Boot Camp. If you have a PC, then you arguably already have the preferred version of the software. Really, the best option is to choose based on what computer you already own. But Mac users do have a quandary and the last thing anyone should do is switch platforms based on one piece of software. After the last few years of being firmly entrenched in the PC camp (I tried to love you, Surface Pro, I really did), I am firmly a Mac user once again despite my reservations that Dragon is a compromised piece of software on the platform. But I simply prefer OS X and several pieces of software I use (mainly Final Cut Pro, Ulysses and the deep integration with their iOS devices) make it a better platform for me. If you are in the market for a brand-new computer and, frankly, don’t mind whether you use a Mac or PC, then I would be inclined to steer you towards Windows if Dragon is going to be a major (if not the main) part of your workflow. If, on the other hand, you are set on owning a Mac, just know that Dragon for Mac will get the job done, despite the horror stories. For purely dictating into TextEdit, it works just fine and the recognition engine is exactly the same as the Windows version, so your accuracy shouldn’t suffer. When it comes to tweaking and refining your profile over time, however, Dragon for Mac cannot compete and transcribing files, while convenient, is vastly superior in Dragon NaturallySpeaking as you can make corrections to the transcribed text once it has appeared on your screen. That, bizarrely, is something the Mac version simply cannot do and will result in a cap on your accuracy on the transcription side of things. You can always correct it later with the keyboard, of course, but that kind of defeats the purpose of speech recognition software that is supposed to improve over time, no? Your other choice, of course, is to run Dragon NaturallySpeaking on your Mac using virtualisation software such as Parallels or VMware Fusion – both have modes which make it appear as if the program is running natively on your Mac desktop and Windows simply gets out of the way. This option, however, means slightly more expense – you will need a Mac capable of running Windows in a virtual machine (anything from the last three years will do, but 8 GB of RAM is probably a prerequisite and an SSD wouldn’t hurt either) and you will also have to buy a Windows license. Neither option is right or wrong and both Mac or PC will get the job done, for the most part. But before you drop a lot of money on one or the other, think hard about both the platform you will be most comfortable with in the long run and whether you will be using Dragon purely to get words on a page or for more advanced dictation usage. If, for example, your mobility is impaired and you want to use Dragon to control your computer I can only truthfully recommend sticking with a PC and NaturallySpeaking. There. I’ve said it. I, Scott Baker, hereby declare as a happy Mac user that the Windows fans have it best when it comes to dictation software. See? It’s not so hard to get along. After all, isn’t choice a wonderful thing? 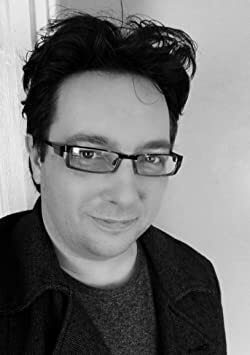 Author Scott BakerPosted on June 16, 2016 September 16, 2016 Categories Dragon, UncategorizedTags Mac, Naturally Speaking, PC21 Comments on Should You Use a Mac or a PC for Dictating with Dragon?